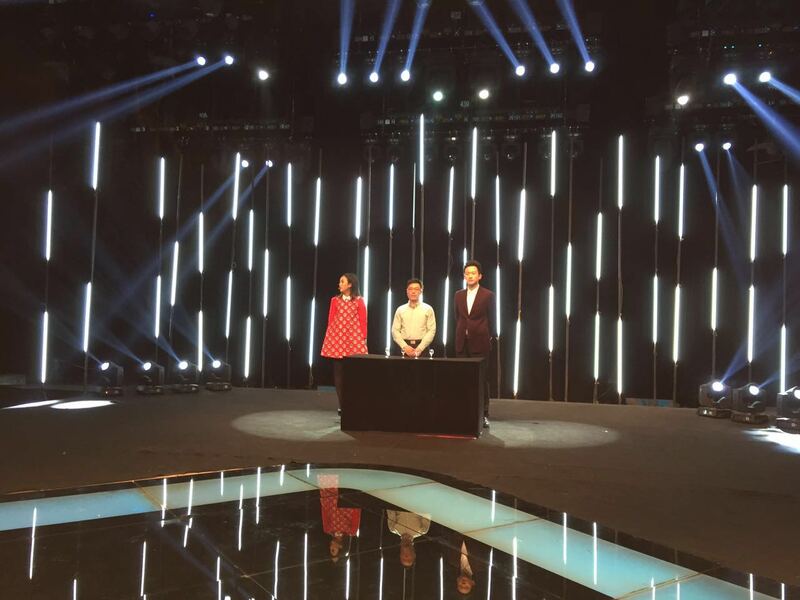 Earlier this year, I appeared on a Chinese TV show on Tianjin Satellite TV four times as one of six ‘foreign guests’ on the programme. 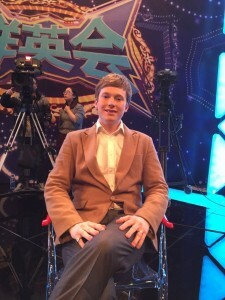 You may be wondering how foreigners get to go on TV in China, and the answer is that it’s not particularly difficult, if you speak Chinese. A friend of mine who was also on the show introduced me to one of the producers, we went for a meal in Beijing, and a couple of beers later, I was signed up for the show! 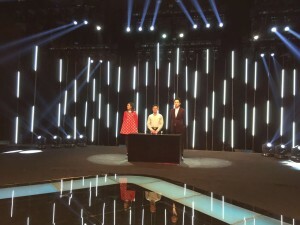 The premise of the show is that foreign guests from different countries who can speak Mandarin get together and talk about different aspects of Chinese culture, along with two Chinese presenters, one male and one female. I had been on Chinese TV once before, and I work with the media a lot, but this was a much bigger show, that goes out across the country. Millions of people could potentially be watching, so it was different! I travelled to Tianjin during weekends for the show, and stayed in a hotel near the station with some of the other guests, a couple of which I had met before, and we went to the TV station together. The studios were in a separate building inside the TV station compound; there were about 8 of them I think. We were always in Studio 1 or Studio 2, the two largest studios. I’m guessing the set-up and equipment there are as modern as any TV station anywhere in the world. Everything from the cameras to the lighting and sound equipment seemed really new. I even went up to the control room and the deck to have a look around, and the place seemed very well kitted-out. The set was pretty basic, though, with just a printed cloth backdrop and simple chairs. The strangest thing was getting used to having a conversation in Chinese with so many cameras pointing at you. There were three at the front, three at the back, a couple on booms, plus you had your own camera opposite you, pointing directly at you. Added to this, there was no audience, and all the applause and laughter was added in post-production, so the atmosphere seemed a bit strange, and it took me most of the first recording just to get used to all of this. You’re probably just going to have to take my word for this. It was partly all those cameras pointing at you, partly knowing that everything was going to be recorded and broadcast all over the country, partly because the format of the show meant it was a free-for-all with everybody fighting to speak all the time, and partly because I had just got up on a Sunday morning at 6.30 am. All of these factors meant my Chinese on was not as good as it could have been. But I can live with that. After all, it wasn’t a Chinese competition! 2. 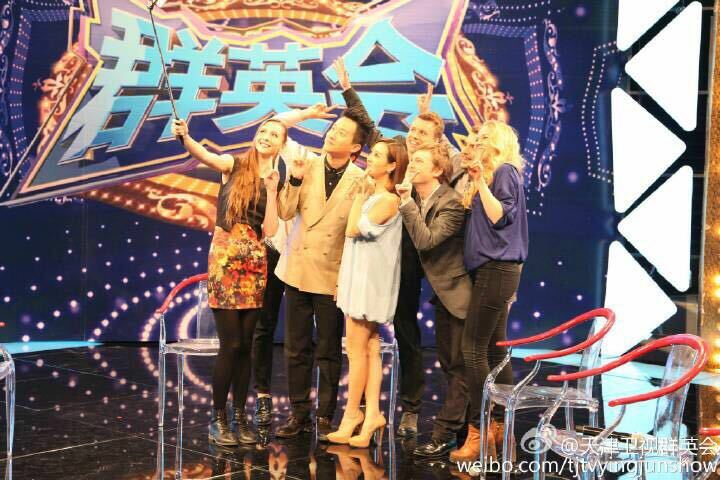 Foreigners, particularly if they can speak Chinese, are still a big selling point in China. A lot more people are learning Chinese than when I first started in 2006. In Beijing, it’s actually really common now to find people from all over the world who speak Chinese. This on its own might not be as unusual as it used to be. But foreigners speaking Mandarin on a TV show or in adverts/commercials are still a novelty, and more and more companies and stations are using foreigners, because they stand out against the competition. 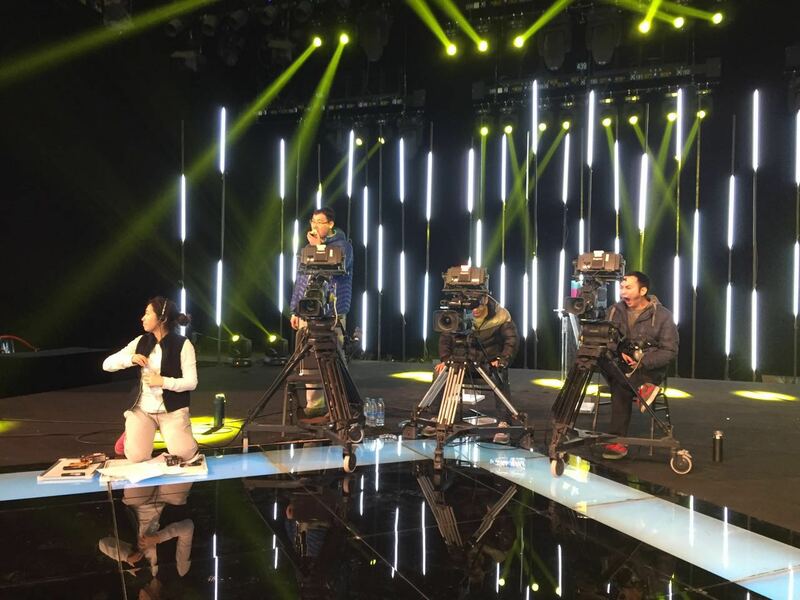 I was told that the show ranked between about 4-7 in the country in terms of audience while it was being broadcast. 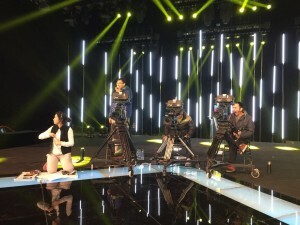 I guess the producers figured that if all the other stations were broadcasting regular entertainment shows or repeats, then a group of foreigners would catch people’s eyes when they were flicking channels. After going on the show, a couple of other TV stations who have similar talk shows got in touch with me, so I know there are a lot of similar programmes in China, and who knows, I could be on other stations in the future.. The guests had different attitudes towards the programme. 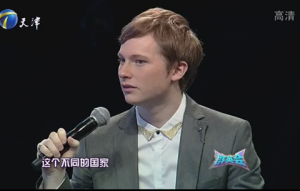 Everybody was there partly for the experience (I mean, I never really imagined I would be on TV before, especially in a foreign country and speaking Chinese), but in general, the people who took it a bit more seriously and did some preparation came out better. My attitude was mixed, I was there for fun, but at the same time I didn’t want to look like an idiot. The producers were really good about sending me outlines of talking points before the shows, and gave me advice on how to prepare. I thought through what I wanted to say, and when it came to the recording, I was able to say more, and crucially, not just blabber nonsense and get my screen time cut down! As I said, I had my own camera recording me all the time, so the producers reminded me to pay attention to my facial expressions. The Chinese media has a reputation all over the world for being tightly controlled, and it is. If a station puts out anything that is politically sensitive or inappropriate, it would face a hefty fine or a telling-off from the authorities or worse. Having said that, none of these considerations affected me. The show was not related to politics or religion, so it was pretty much safe ground. The only thing that would really affect the show is that in China you are not allowed to use internet slang words on the TV, so if you did, I guess they would have to cut it out. And, if you are learning Chinese and you end up in China, then it could well be you next! Be sure to let me know how it goes..